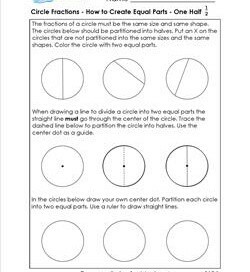 This third grade fractions section has resources that set the foundation for understanding fractions – how to create equal parts and how to recognize equal parts, as well as resources that can be used as reference guides. 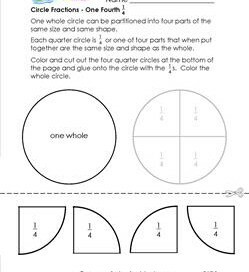 We cover the Common Core required basic fractions of 1/2, 1/3, 1/4, 1/6 and 1/8. 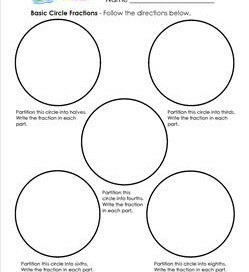 Fraction models come in the shape of fraction strips and circle fractions. Answer sheets are provided where applicable. 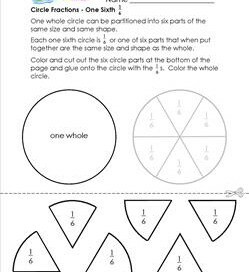 Cut and glue activities are included. 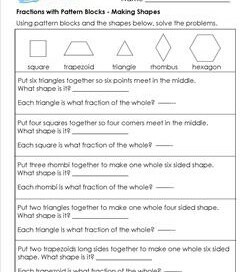 36 third grade fractions worksheets and other resources. 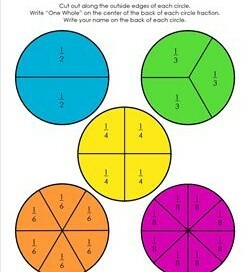 Please go to this page to choose from all the fractions worksheets and resources on this site. 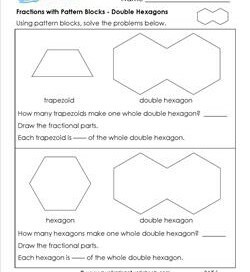 Use triangles, rhombi, and trapezoids to make a hexagon. Tell how many of each are used and what the fractional part is. Answer sheet included. 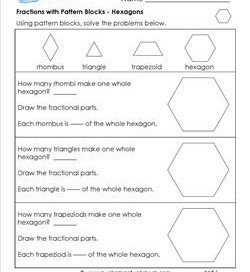 Use triangles to make a rhombus, trapezoid, and hexagon. 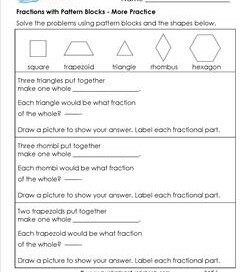 Tell how many are used and what the fractional part is. Answer sheet included. 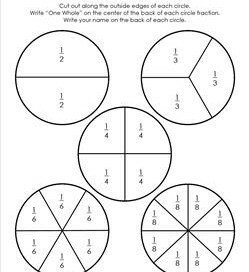 In this worksheet kids use pattern blocks to make a small rectangle, large square, and large rectangle. 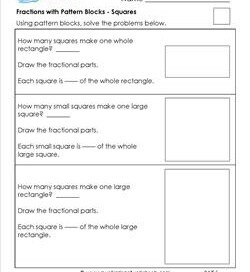 Write how many squares are used and the fractional part. Use pattern block shapes to make double hexagons. Tell how many shapes are used, what the fractional part is, and illustrate the answer. Two pages. 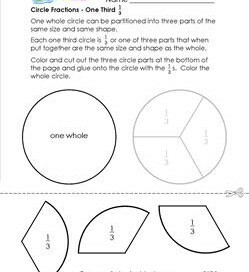 Follow the directions using pattern blocks to create new shapes. 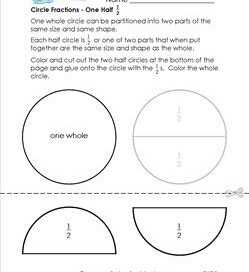 Tell what the new shape is and name the fractional part. Answer sheet included. 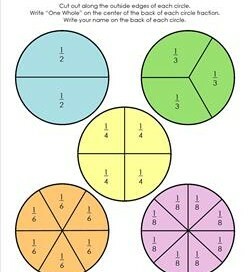 Dividing a circle into halves is easy sneezy, simple simon! 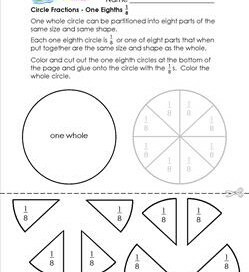 It’s also the foundation for creating other fractions like 1/4, 1/6 and 1/8.